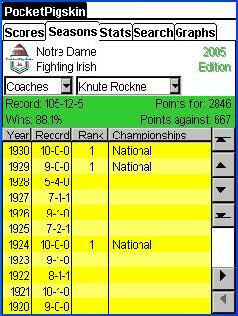 Knute Rockne's winning percentage is the highest in Division 1-A history. 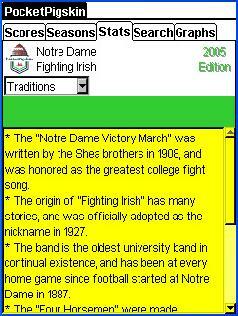 Notre Dame traditions include a march, a band, horsemen, and a leprechaun. 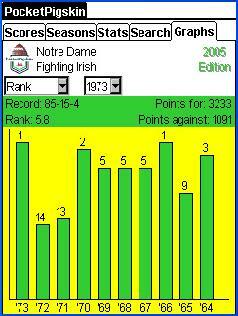 The decade shown on the graphs has an average ranking in the top ten, including two national championships.